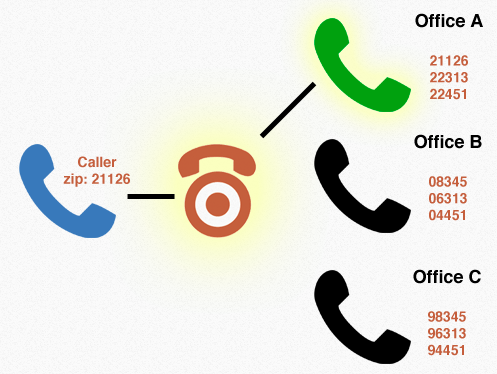 Call Tracking Metrics is excited to introduce geo-routing as a new feature for our call tracking platform. Seamlessly route incoming phone calls by area code or zip code to your nearest location using Call Tracking Metrics’ new geo-routing system. Whether you are a franchise organization or a national company with many local locations, this is a perfect solution to easily configure a geographic call routing solution. Set location information and territory radius’ for each of your locations (with a bulk import option, you enter many locations quickly). If the call cannot be auto routed, you can set up a customized voice prompt asking caller to enter zip code or route to a default number. Geo-Routing is available through our Agency Plus plan. If you are an existing customer and want to change your plan to Agency Plus, you can do so here. If you are new to Call Tracking Metrics, you can get startedhere. Stay tuned for another announcement next week about 2 new features for early May: 1) ROI reporting and 2) Adwords integration.